Interest rates are great when it comes to savings accounts. The higher the rate, the more earnings we can claim on our money. Usually, interest is available only for savings, money market and certificates of deposit, however there are some banks who provide interest on checking accounts. Right now Incredible Bank is offering a competitive interest rate for their checking account, their rate is currently at 1.06% APY for deposits of $0-$249,000. It’s important to notice that most checking accounts don’t even offer an interest rate on their balances. This is because some checking accounts from banks capitalize on promotions such as a bonus $100 and such. However, if you constantly use a checking account and you’re used to having a large amount in checking, then having an interest rate checking account would be the smartest move. 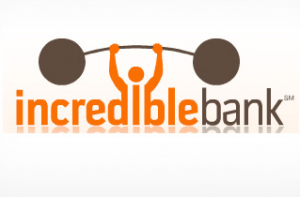 Incredible Bank.com is a division of River Valley Bank that was established in 1967. It is an Internet only bank that allows their consumers to manage their money securely. The bank is FDIC insured, ensuring your money to as much as $250,000. For those who realize the value of letting your money earn for you, then a checking account with high interest should be of use to you. Again, Incredible Bank produces some of the best rates for checking accounts, some that you won’t find in other banks.